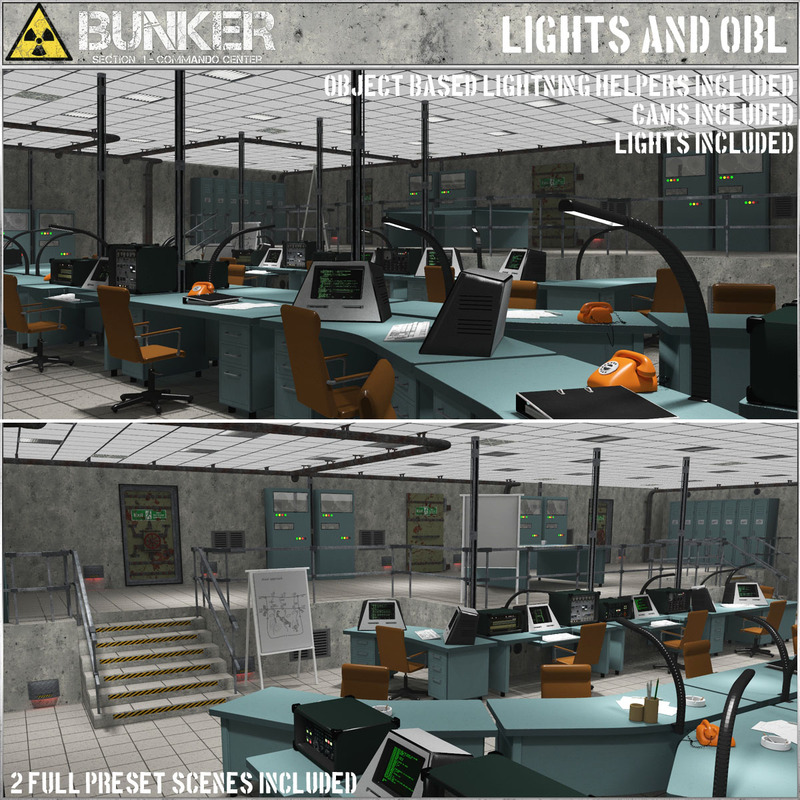 Welcome to the Bunker Set No.2 ! held in style of the 60s/70s along the cold war bunkers. 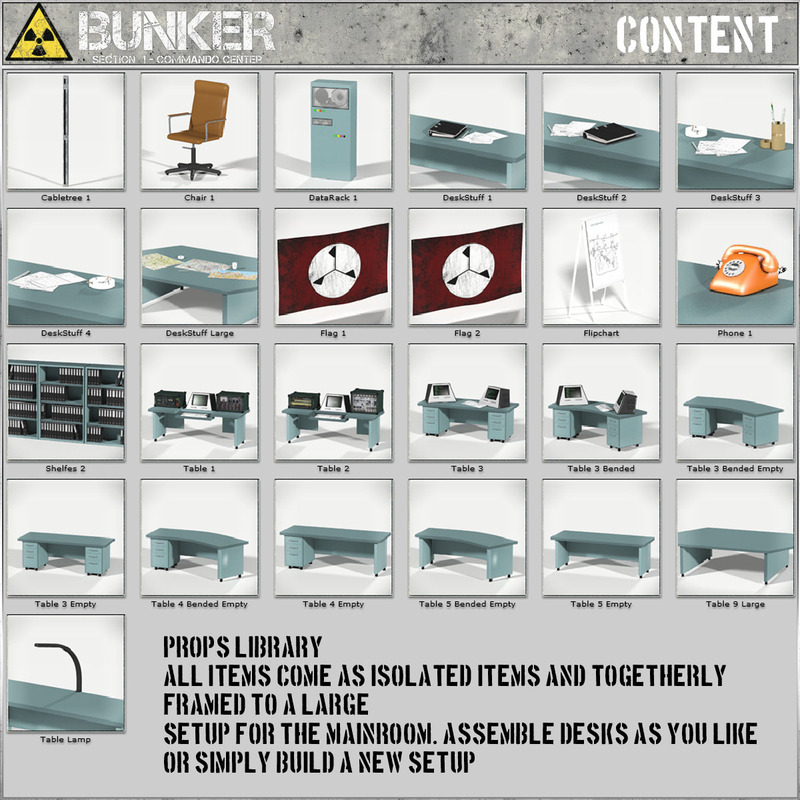 Set number 2 will get you a very versatile construction base for corridors and rooms. 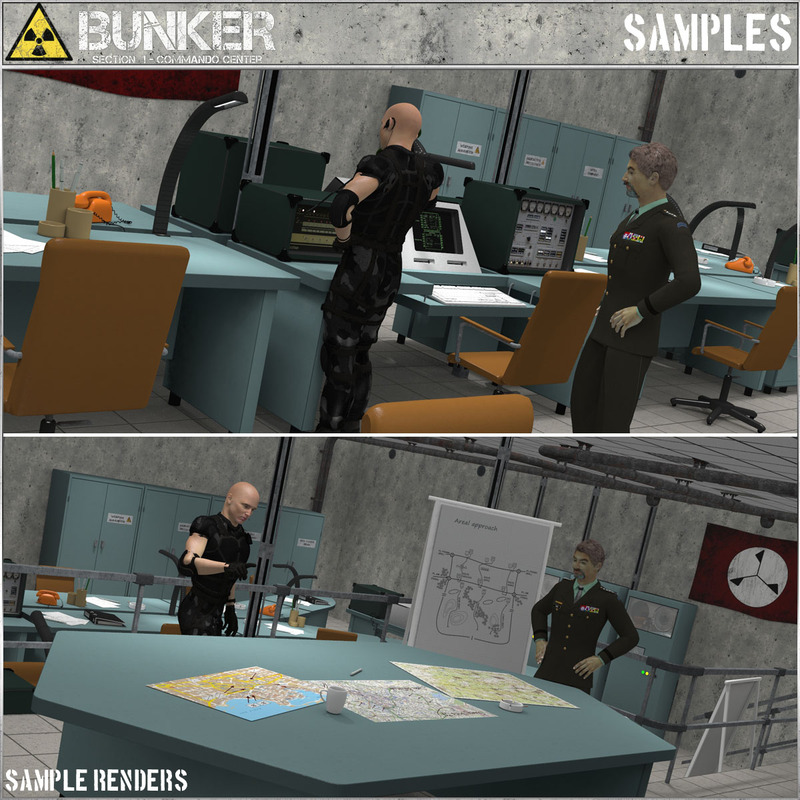 All required parts to assemble complexes of bunker corridors and rooms are included. All items are bones so you can disabled walls and pieces. rem. 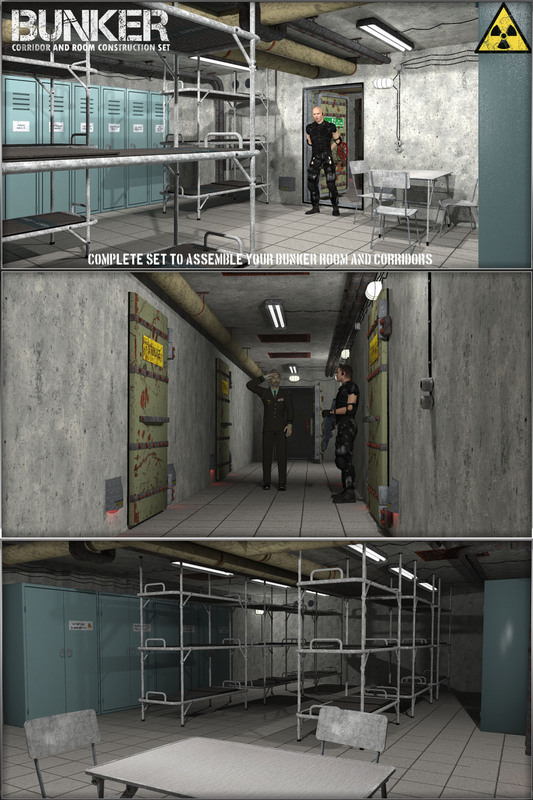 : Set is build for use with Poser. Loads OK in D/S, some adjustments to lights required. 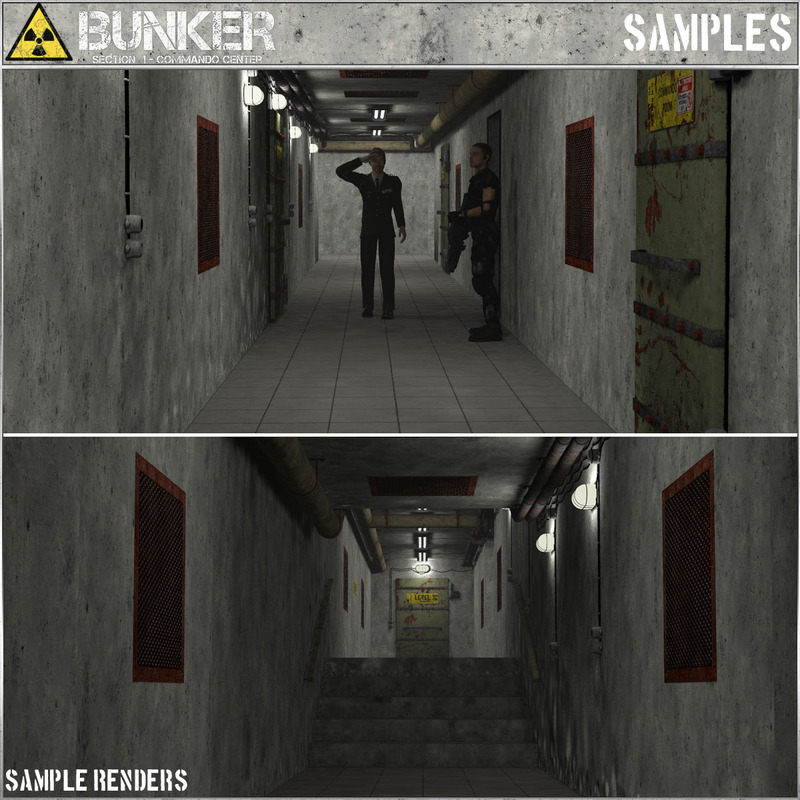 thanks for using our sets and check our large freebie section for more! 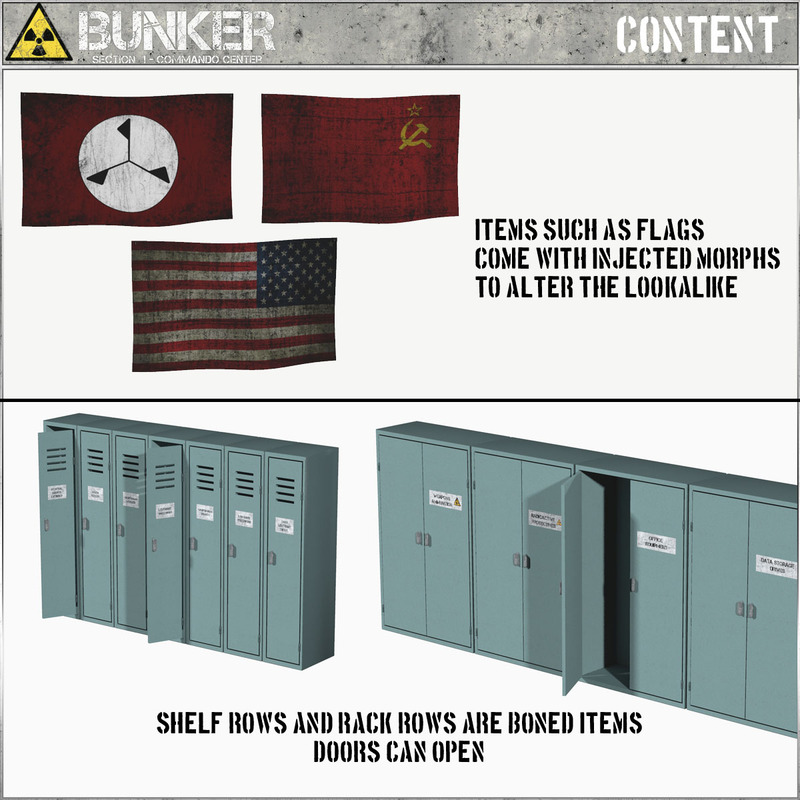 Welcome to our Bunker. Make this your home while our world dies above! the middle will give your general surely a way to plan his counterstrike. 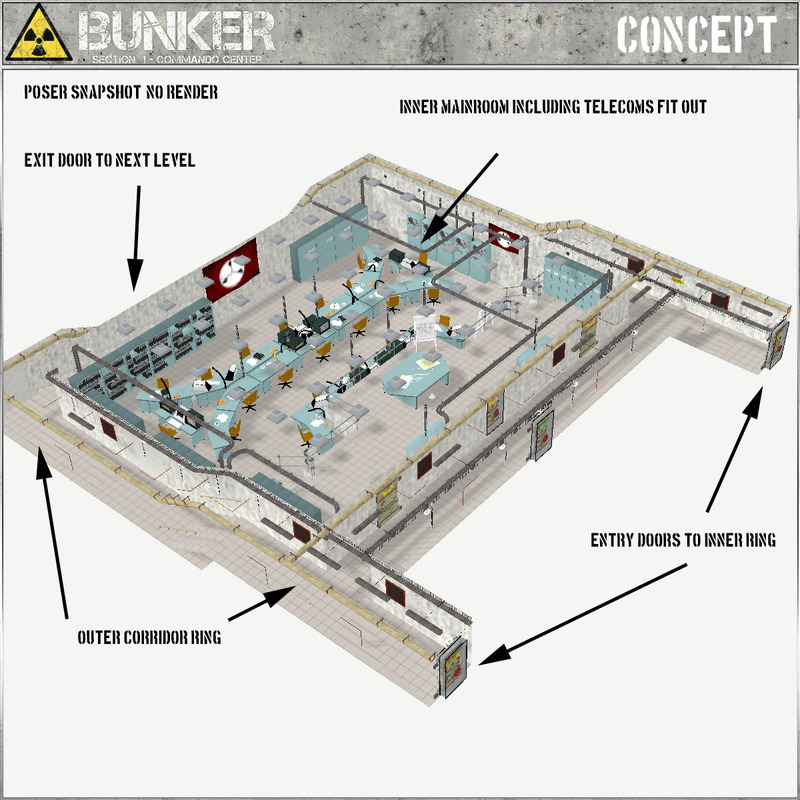 next level of the bunker. load it all in a bunch. Also, two full setup scenes included. 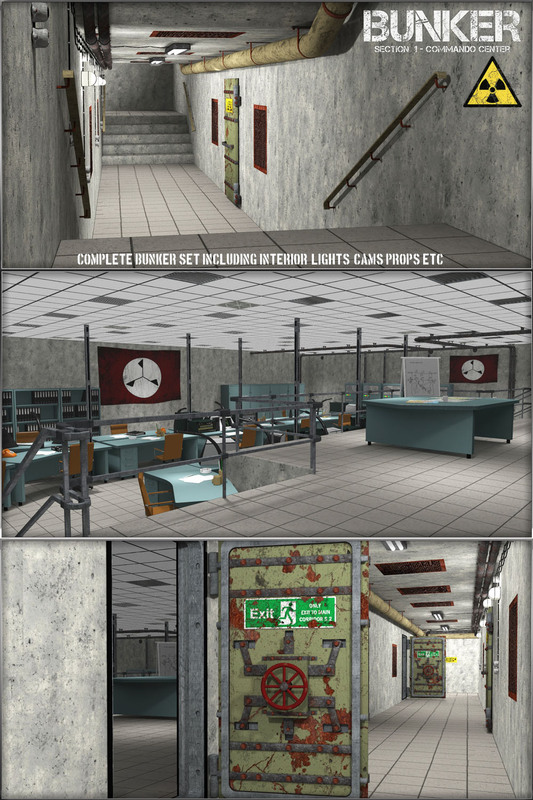 As usual, we have put lights, cams, props and add on items into it.